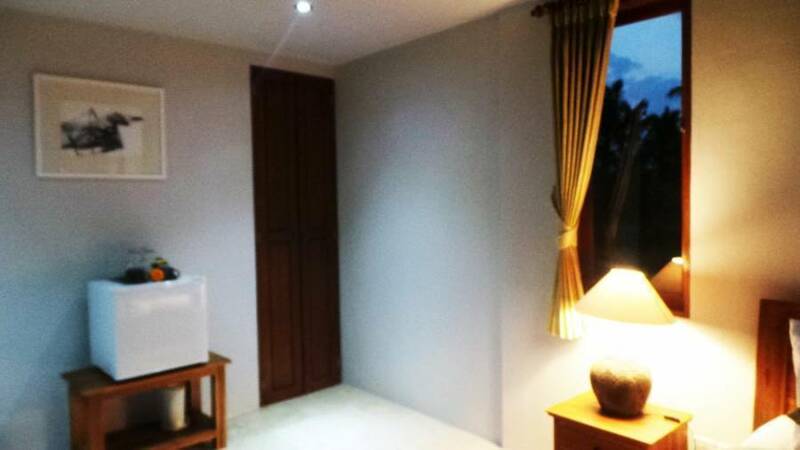 Villa Kemuning is located in Kedisan Village of Tegallalang, north out skirt of Ubud of which the street is with calm back and forth traffic of Tegallalang-Sebatu-Tampak Siring and other destinations. It’s situated among famous parts of Bali Island, such as the famouse Ceking Rice-Terrace, Sebatu Holly Spring Temple, Tampak Siring Palace, Tirta Empul, and Gunung Kawi Temple. Within destination by car, it takes only 20 minutes drive from Ubud, 5 minutes drive from Tegallalang, 20 minutes drive to Kintamani with the Lake and Mount Batur , and about 1 hour drive to Besakih (Mother's Temple of Bali). A contemplating and blissful view is available from the site of the abundance of tropical forest, large size of greenery and flickering water rice-field covering all around sight of the villa. 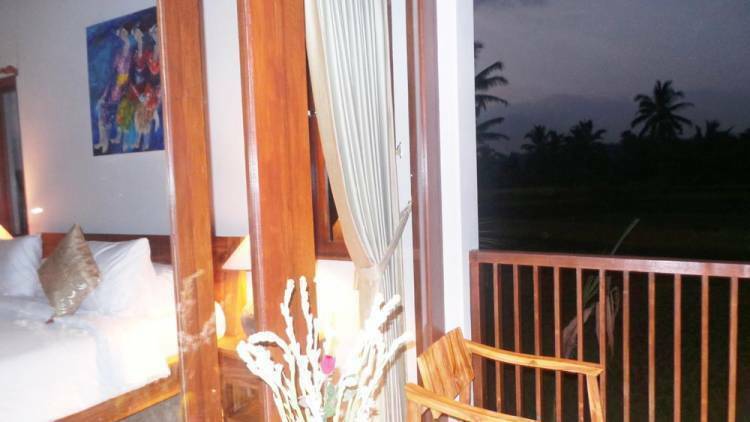 Being on high land level and having huge un-house touch of civilization, from the villa we can enjoy the amazing panorama of both sunrise and sunset, let alone the fresh air with temperature 28 - 30 C, to give the additional value of this tranquil villa. The "Kemuning" is the name of one of pretty white flower which symbolizes tranquility, and of which "kemu" means "go there and find" and "ning" has some meanings such as: "dearest" or "calm / tranquil / clear water". Having only four Deluxe Rooms Villas, first floor and second floor of which divided by a suspicious swimming pool, also two units of family villas with private pool for each unit, one parking space that can takes up to three cars, Private Dining Parlor set along with Reception Desk, this property is quite a suitable for either to stay in private or sharing. 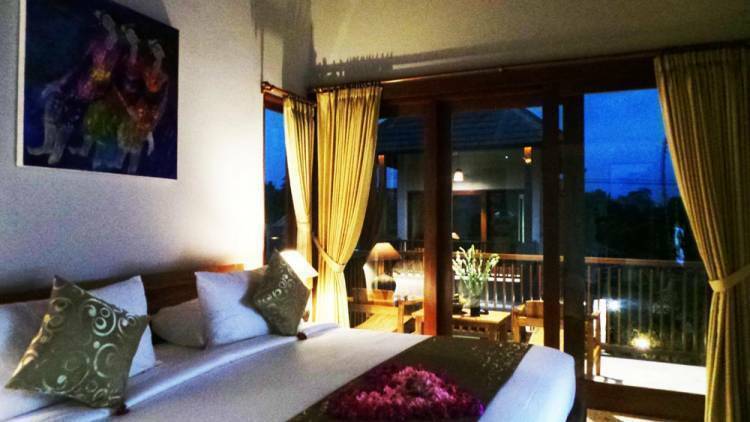 Staying at Villa Kemuning is to have the Truth Rice Field Villa Retreat set along with Bali Tropical Nature and Culture. Villa Kemuning is a perfect place for a real escape in Bali. 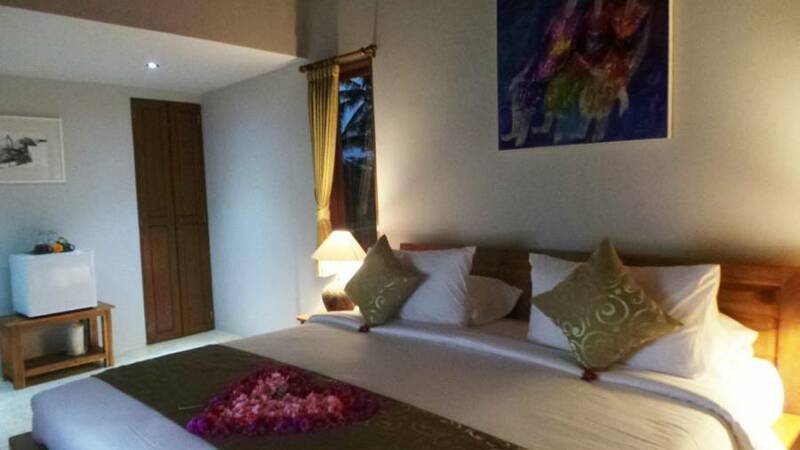 Each room is air conditioned, the selection of double and twin bed room is available on your choice, hot and cold shower, bath tub, private balcony facing to the rice field and mountain, slippers, bath amenities and , television, internet access , internal phone and shared swimming pool. We located in Tegallalang where handicraft are very well known. Ceking rice paddies is 10 minutes drive, so do Tirta Empul, Gunung Kawi, and Sebatu temple. Elephant Safari Park is 15 minutes and Kintamani with the lake and mount Batur is only 20 minutes drive. 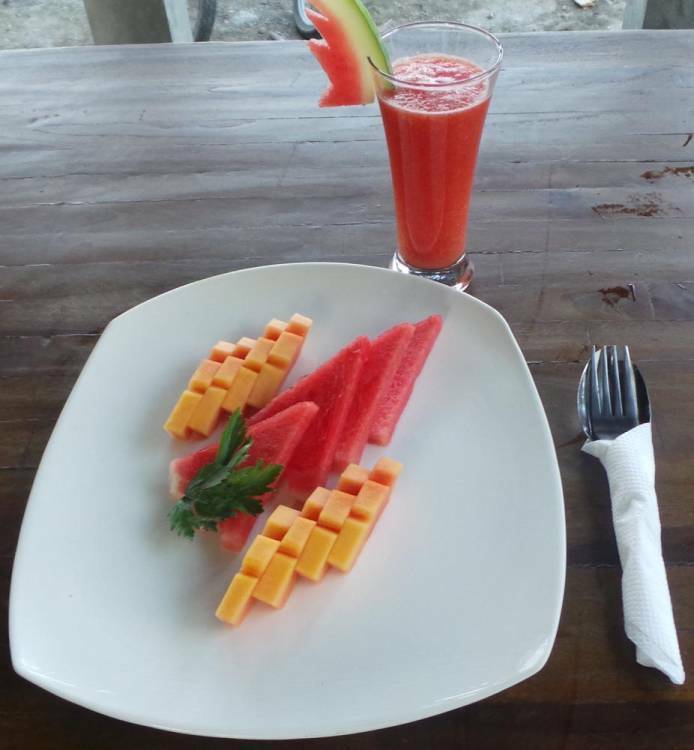 Well known restaurant that is open for breakfast lunch and dinner and serve Indonesian and international food. A one night price is charged for a cancellation made within 3 (three) days prior to arrival date. Full payment is charged for now show. Jalan Raya Bau Bau, Banjar Kedisan Kaja, Tegallalang, Gianyar. From the Arjuna statue in Ubud go straight to the north on the way to Kintamani for about 7 km until you find The Kampung Resort Ubud/Kampung Cafe. Turn right, go down passing Villa Sarna, Villa Constance, Terrace Abing, and Villa Kemuning is located ate the left hand side 300 meters after Terrace Abing. Taxi from airport will take around 1, 5 hours, about 20 minutes from the center of Ubud. We provide airport pick up service with additional charge. A complimentary shuttle to the center of Ubud and near by places are available for your convenience.